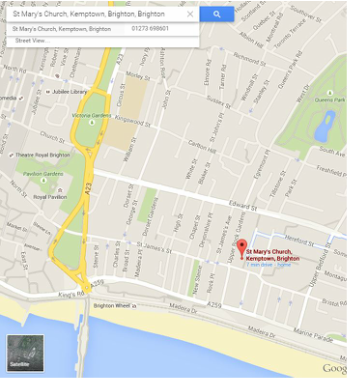 Greenspeak is a series of themed talks and discussions held in Brighton. ﻿Greenspeak aims to provide a friendly, thought-provoking forum for talks and discussions on a wide range of topics. The events are run in association with Brighton & Hove Green Party, although all are welcome regardless of political persuasion and we encourage people from a broad range of backgrounds and viewpoints to come together to contribute to the debate on a wide range of green-related themes. The events are free; however donations are welcome and are necessary in order to run events. Donations are used solely to put on Greenspeak events. There has been much discussion about electoral reform following the General Election this May. But what are the alternatives to our current First Past the Post system and how could they be achieved? What are the pros and cons of models such as Proportional Representation, Single Transferable Vote or Alternative Vote Plus? 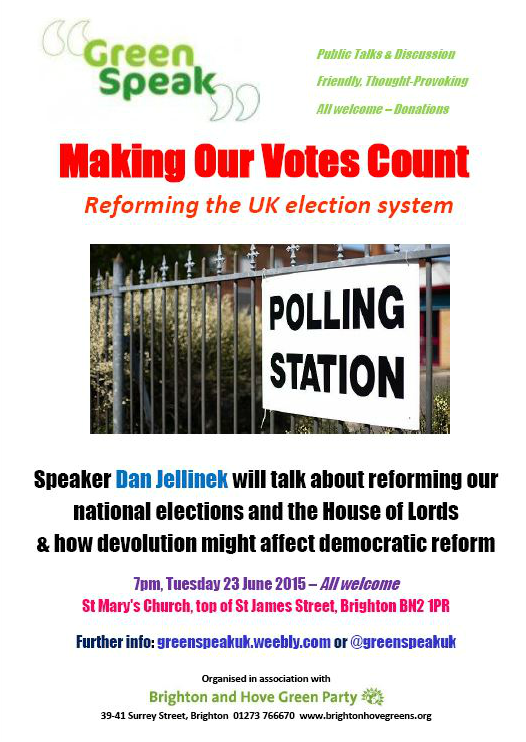 Speaker Dan Jellinek will talk about reforming our national elections and the House of Lords and how devolution might affect democratic reform. The talk will be followed by questions and answers and a general discussion. The event has been organised by Free University Brighton and Greenspeak.